Ramadan becomes more spiritual and beautiful when it is shared. People put conflicts aside, gather around one table and enjoy the blessings God has provided for us. 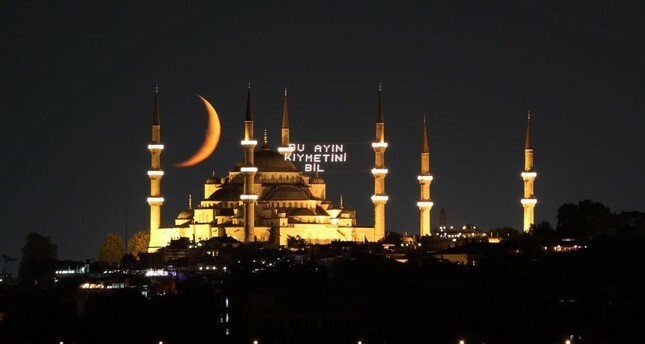 Ramadan, the holiest month of the Islamic world, brings joy to Muslims worldwide as well as the monthlong fast during which Muslims refrain from eating or drinking between sunrise and sunset. These long hours of fasting cause changes in people's lifestyles and often alter nutritional intake. To have a healthy and fulfilling Ramadan, there are few dietary habits you should be aware of. First, it is crucial to have at least two meals every day to maintain adequate and balanced nutrition throughout the month. It is also important not to skip sahur (the pre-dawn meal). Though you may not feel hungry, only drinking water for sahur raises the normal hunger threshold of about 16 hours to an average of 20 hours and causes blood sugar levels to drop quicker, which in turn leads to feeling more fatigued throughout the day. On the contrary, if the sahur meal is too heavy, your body's metabolic activity decreases, raising the possibility of weight gain. To maintain a healthy balance, a moderate sahur is a must every day before starting your fast. A light breakfast consisting of milk, yogurt, cheese, eggs, whole-grain bread or a meal of soup, olive oil dishes, yogurt and salad are all excellent choices for sahur. Those who feel extra hungry during the day should eat food that takes longer to digest, like dry beans, chickpeas, lentils, bulgur pilafs and avoid excessively greasy, salty and heavy dishes and pastries. Controlling the amount of food you consume during iftar (the meal served after sunset) is equally important. Experts say when the blood sugar of fasting people is too low they have a tendency to overeat to compensate. Stressing that understanding when your stomach is actually "full" can be tricky, research has shown that your brain actually registers that you appetite has been satisfied 15-20 minutes after a meal, not when your stomach is adequately full. When the meal is consumed too fast, the large and sudden calorie intake puts stress on your body and could result in weight gain in the following days. Now that the weather is warmer, the risk of getting dehydrated rises as our bodies perspire to keep us cool. Dehydration can lead to fainting, nausea and dizziness, so doctors recommend drinking 2 to 2.5 liters of water a day. Even if you do not feel thirsty, drink water frequently between iftar in the evening and sahur in the morning. However, if drinking that much water between iftar and sahur seems daunting, there are many other healthy and refreshing options. For example, instead of drinks containing caffeine, consume milk, ayran, plain soda, freshly squeezed fruit and vegetable juices, and herbal teas such as lime and rose hip in addition to water. When fasting make sure to eat enough and consume balanced meals. Instead of one large portion, spread out your meal by eating smaller portions over a few hours. Avoid eating fast and do not skip sahur meals. For iftar, you should start with something light such as cheese, tomatoes, olives or soup and then continue with low-fat meat, vegetables or salad 10-15 minutes later. Choose food that will raise your energy and blood sugar at a healthy rate. Instead of sugary, sweet, greasy desserts opt for milk- or fruit-based sweets. Experts also stress that cooking methods are also important, with grilling, boiling, baking and poaching the healthiest options. It is necessary to avoid roasted, fried and smoked foods. Take a walk a couple of hours after iftar and drink lots of water to prevent constipation that often coincides with changes in diet. High-fiber foods should be included in every meal and snacking on some fresh or dried fruit, stewed fruit, dates, walnuts, hazelnuts and almonds will also help keep your system running smoothly.